Faith Formation for All Ages – 9:00 a.m.
Our morning begins in the education building with our Faith Formation classes. It’s more than just Sunday School – here you’ll find engaging discussions and activities for young kids, older youth, and adults. Our children’s classes are taught by volunteers, and help give kids the building blocks and background to explore their own faith journey. 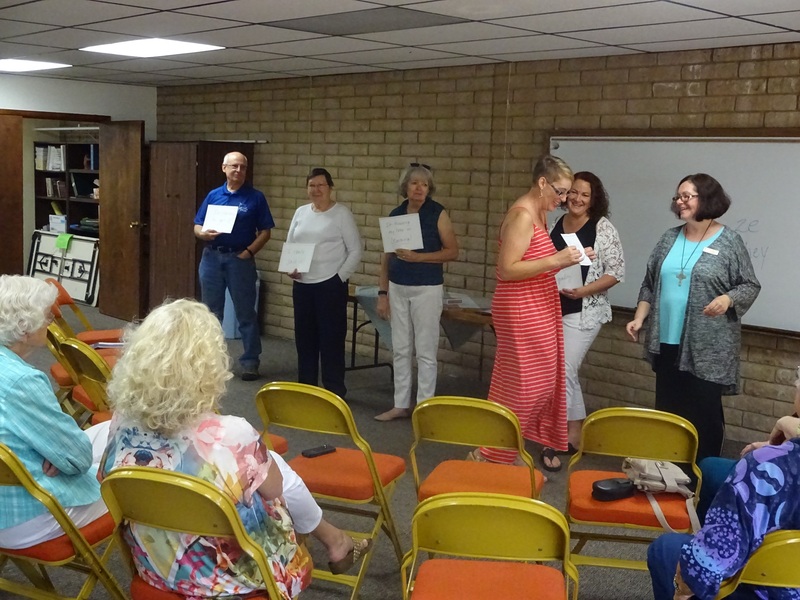 Offerings for adults include one-time education events with guest speakers, longer studies and series (both clergy and lay-led) and roundtable discussions. 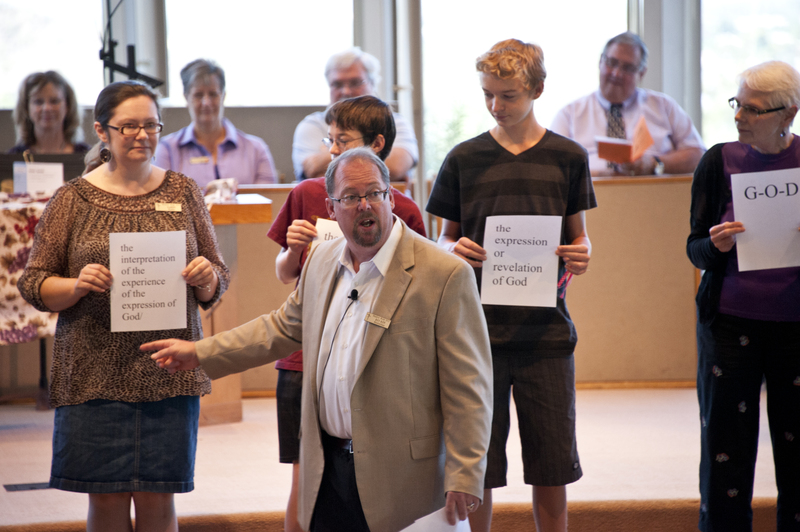 Whenever possible, we mirror our Faith Formation offerings with what’s happening in worship. For more, please see the Faith Formation page. Following our education time together, we gather in our beautiful Sanctuary for our service. Here you’ll find music, liturgy, Pastor Ken’s message – many of the “traditional” components to a church service, but with a non-traditional twist. We’ve been known to barn dance in the aisles, enjoy the talents of professional musicians, chant, eat snacks, tease the ushers, and celebrate milestones such as birthdays, anniversaries, or moments of grace in our lives. All these elements come together to make our worship time together unique and unrepeatable. Coffee Chat – 11:30 a.m. The final part of our time together is Coffee Chat – our fellowship time. We head down to Smith Hall (located in the education building) for coffee and goodies, provided generously by one of our congregants. It’s a time to sit together and enjoy each other’s company. 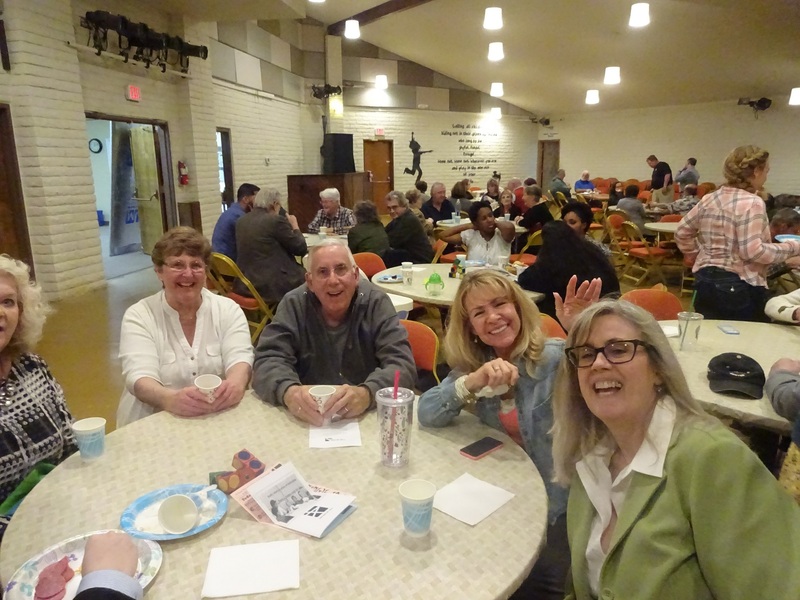 Sometimes folks will be catching up on each other’s lives, while other tables may be having a deep discussion about a part of the worship service or Faith Formation classes. It may seem like a more frivolous part of the Sunday Morning Experience, but building community with each other makes us stronger, and enables us to build community with others, too!